Hebrews 6:13-15 “For when God made a promise to Abraham, because He could swear by no one greater, He swore by Himself, saying, “Surely blessing I will bless you, and multiplying I will multiply you.” And so, after he had patiently endured, he obtained the promise. Matthew Henry in his commentary on these verses reminds us that there is always an interval of time between the promise and the performance of the promise. 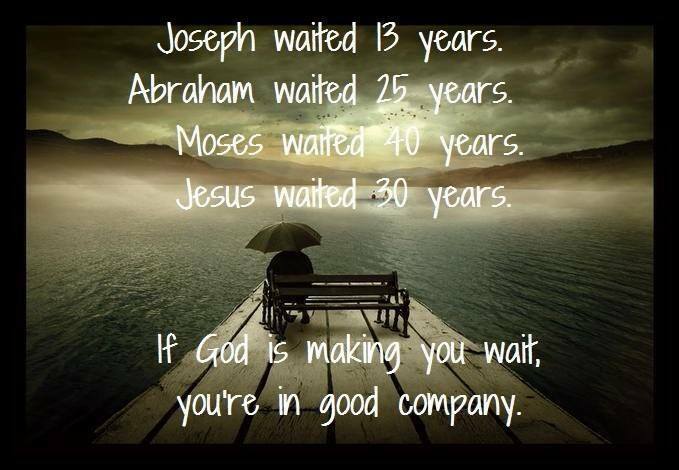 His plans are worth whatever amount of time we have to wait for them to come to pass in our lives.